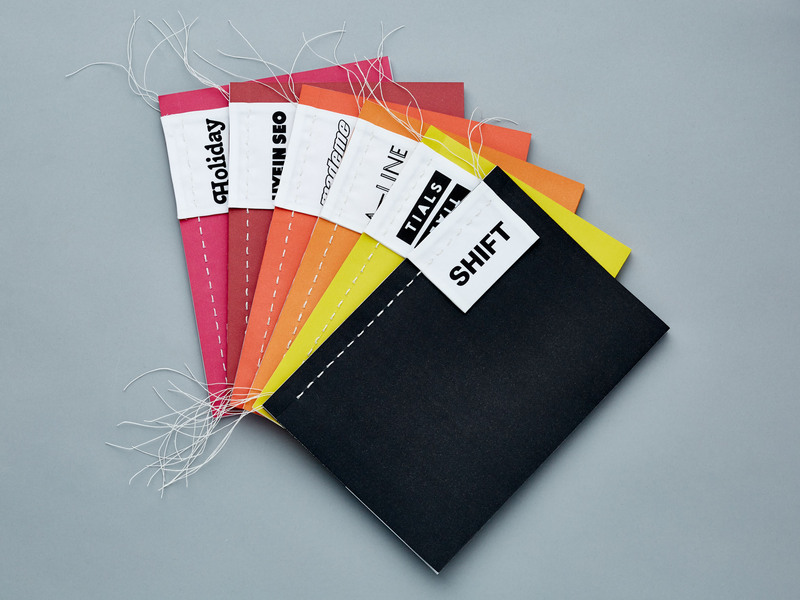 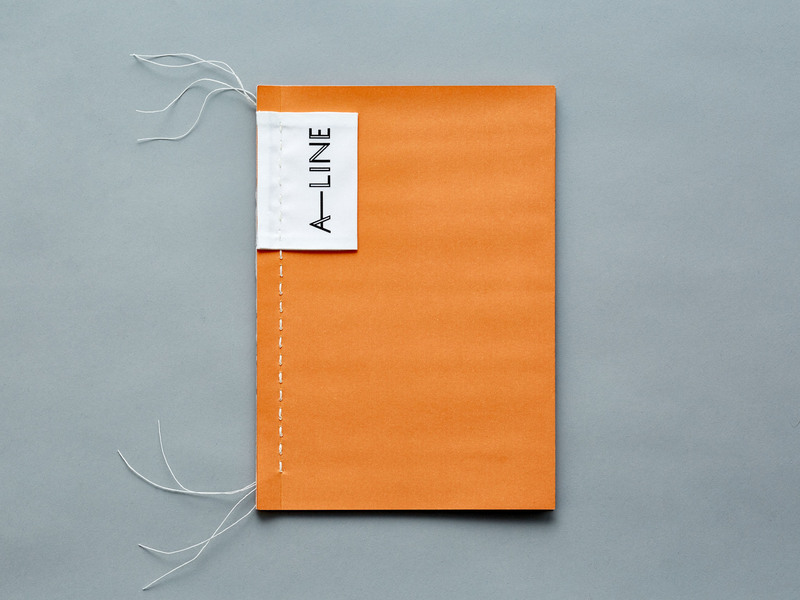 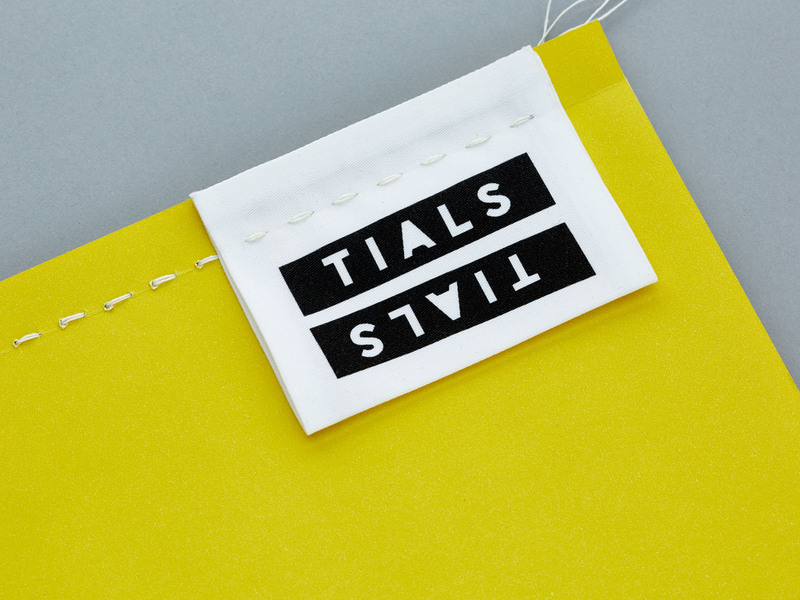 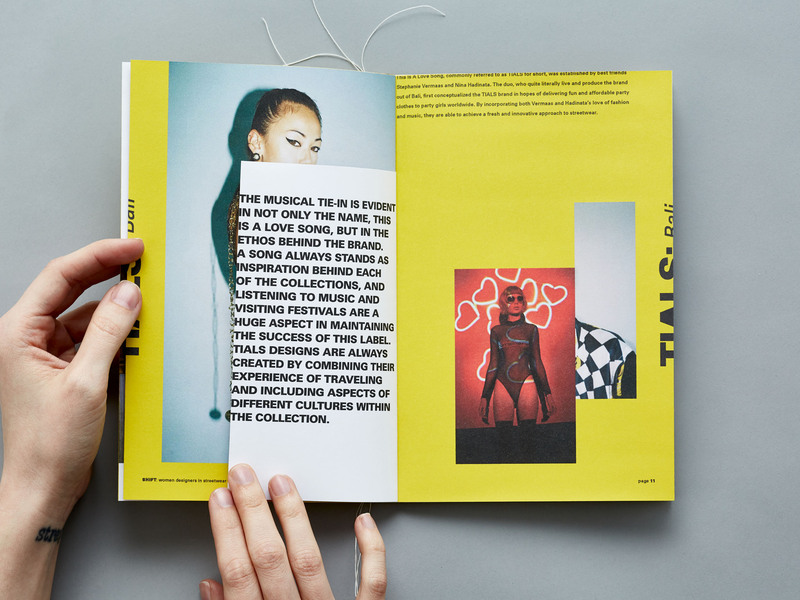 Zine design that constantly changes with reader interaction. 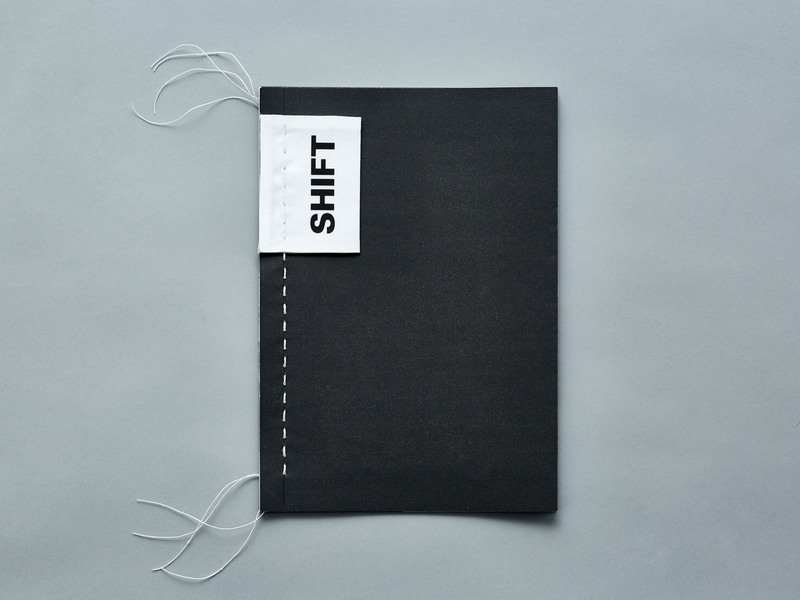 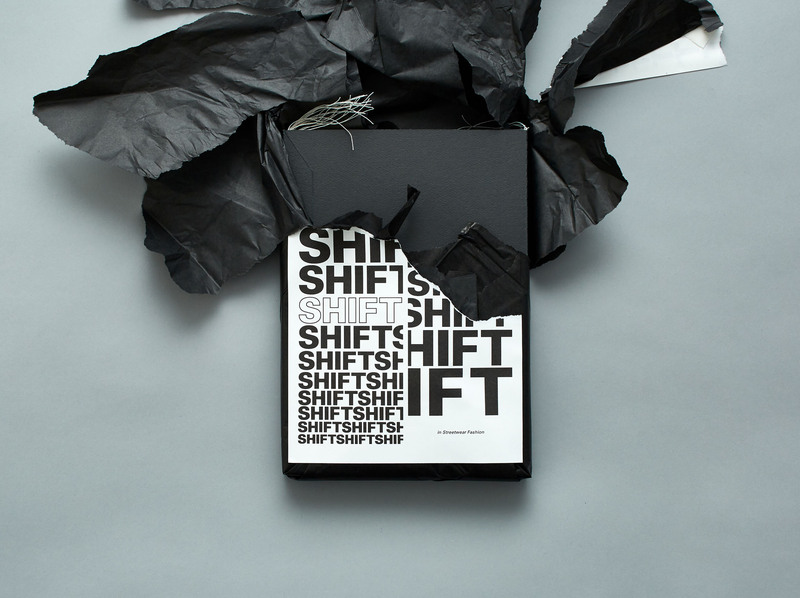 Shift is an event that celebrates streetwear fashion with a catalogue that focuses on up and coming women designers from around the globe. 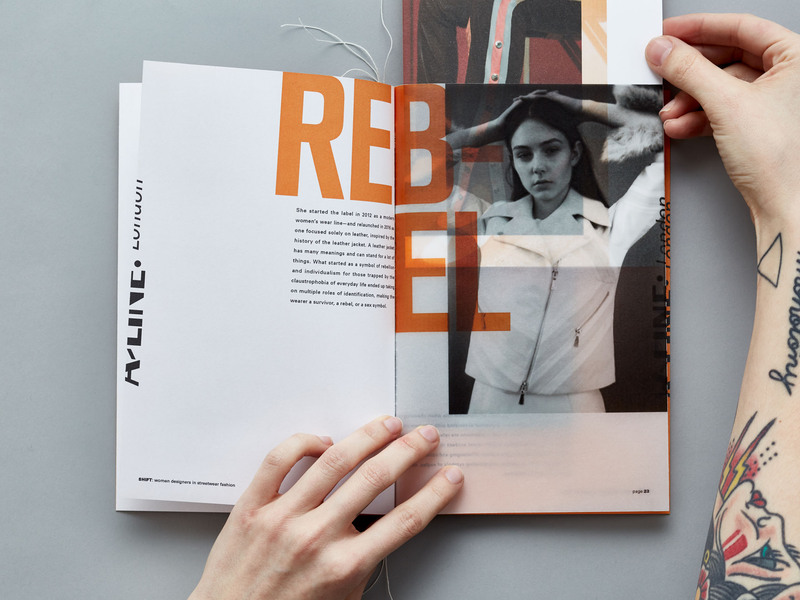 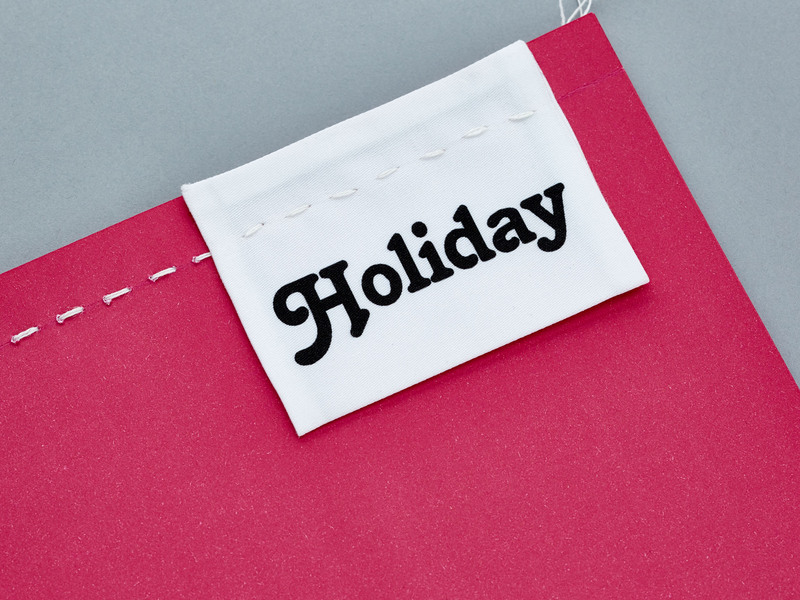 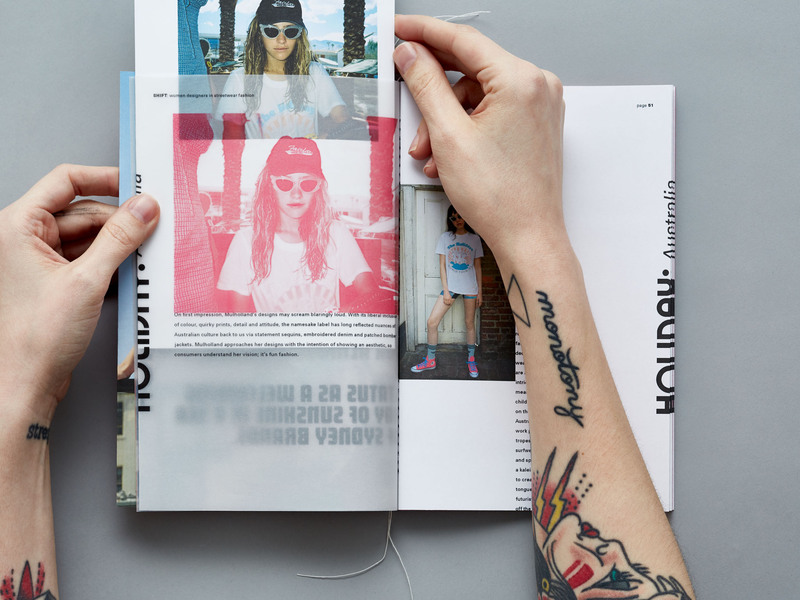 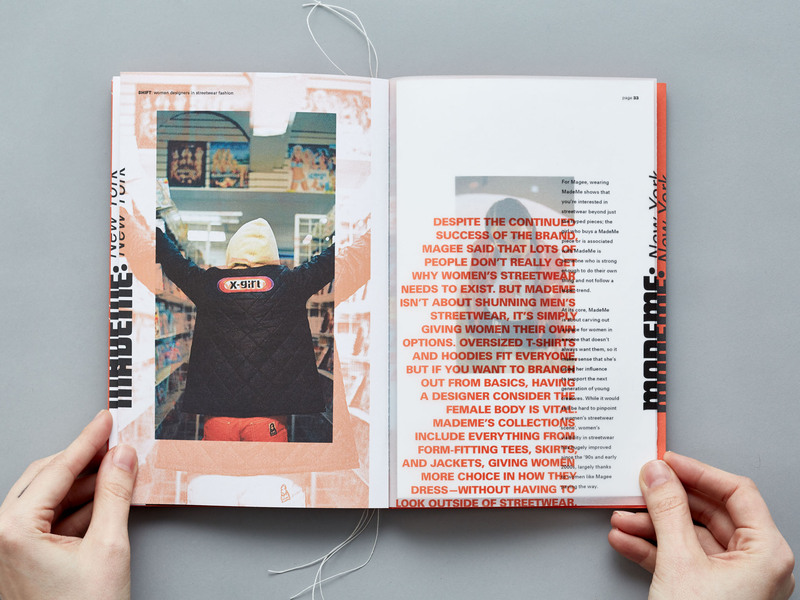 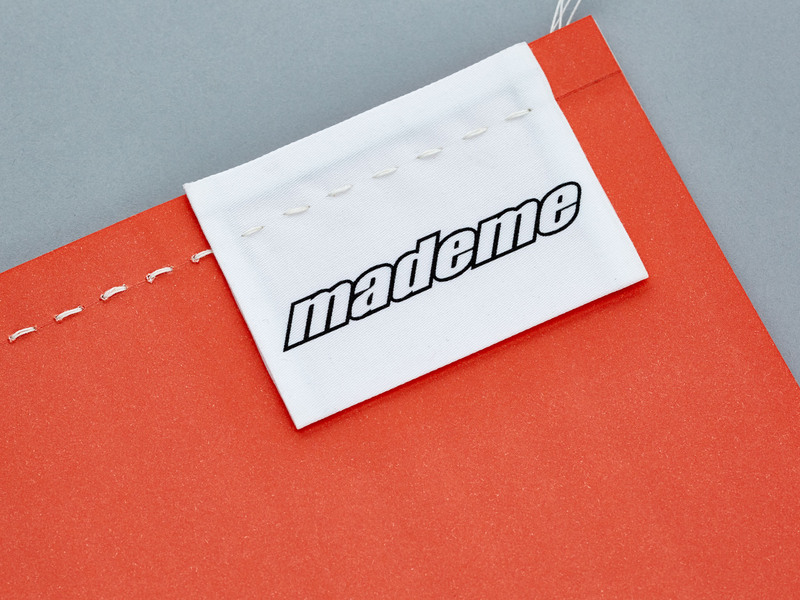 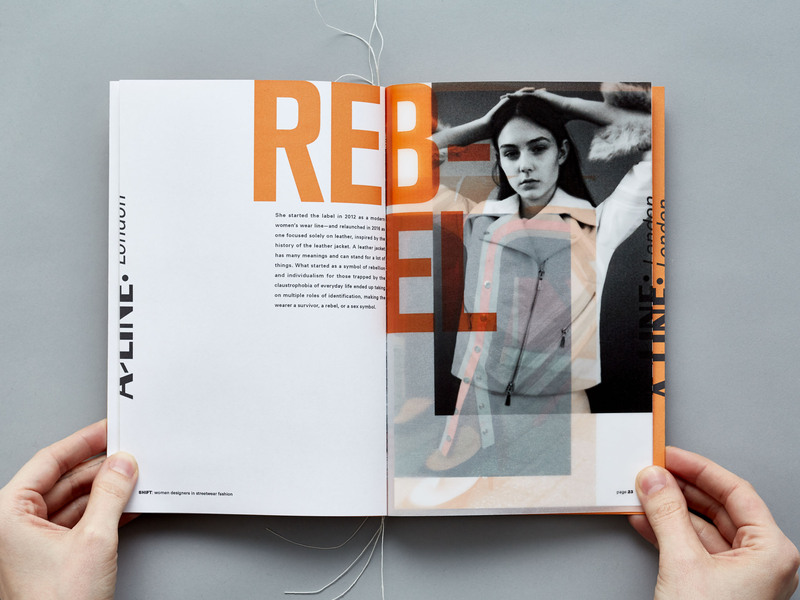 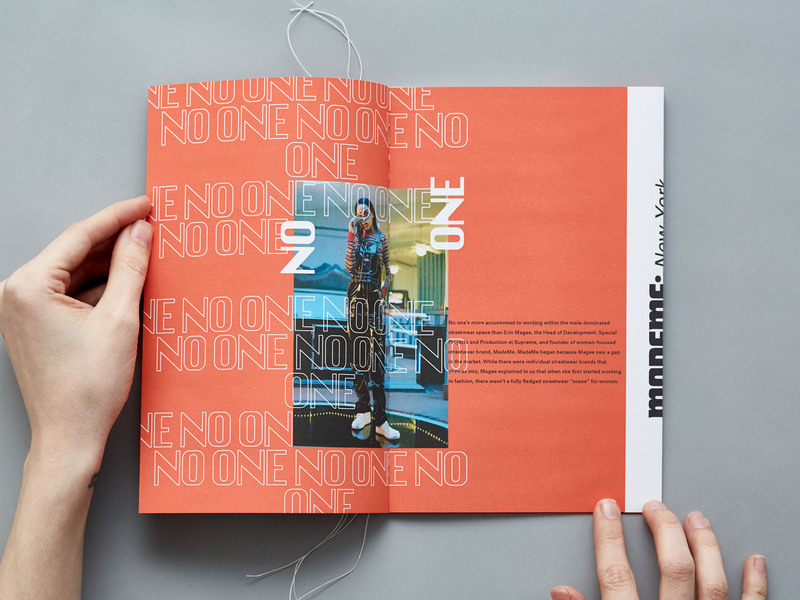 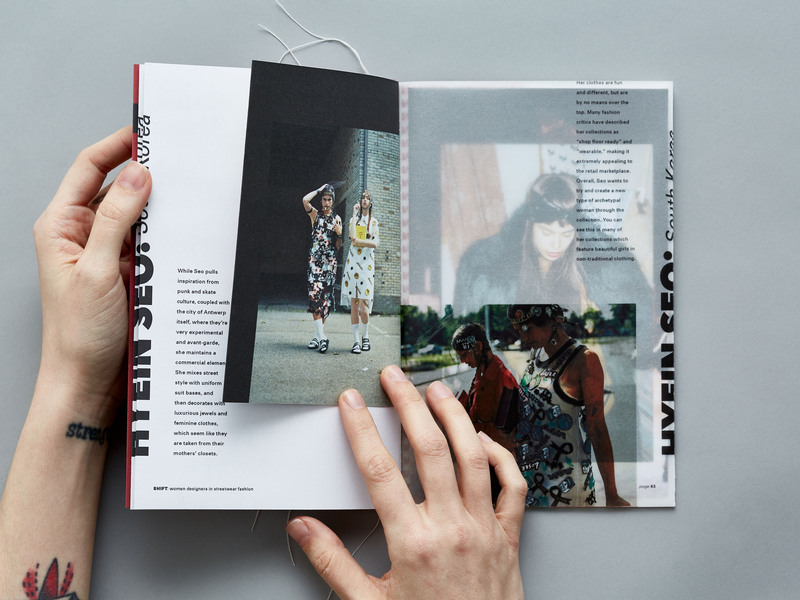 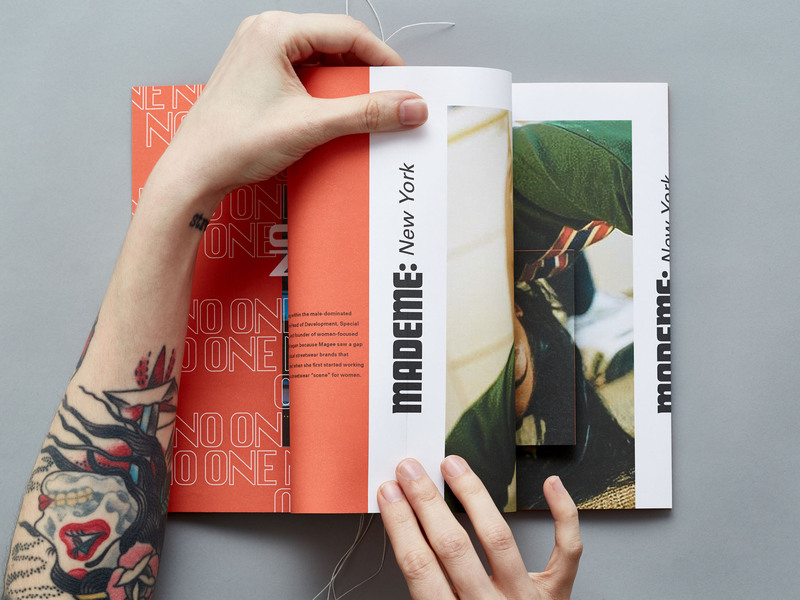 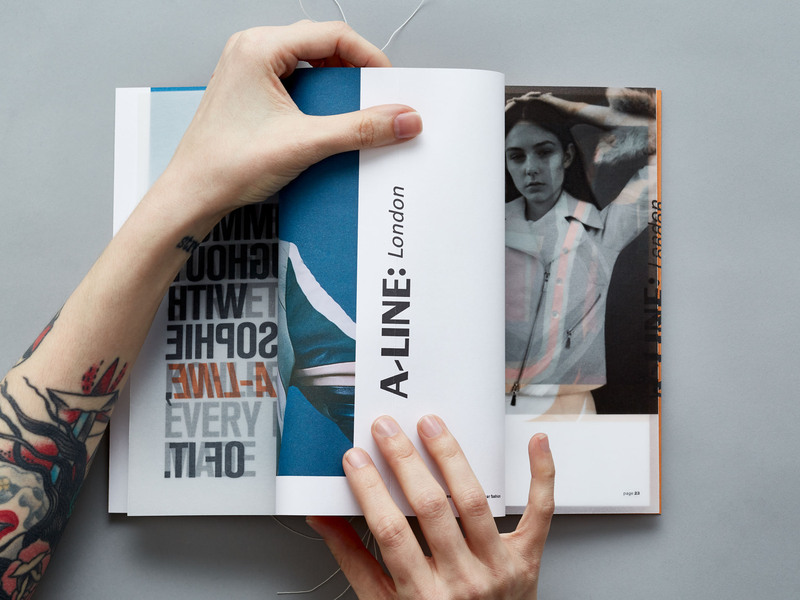 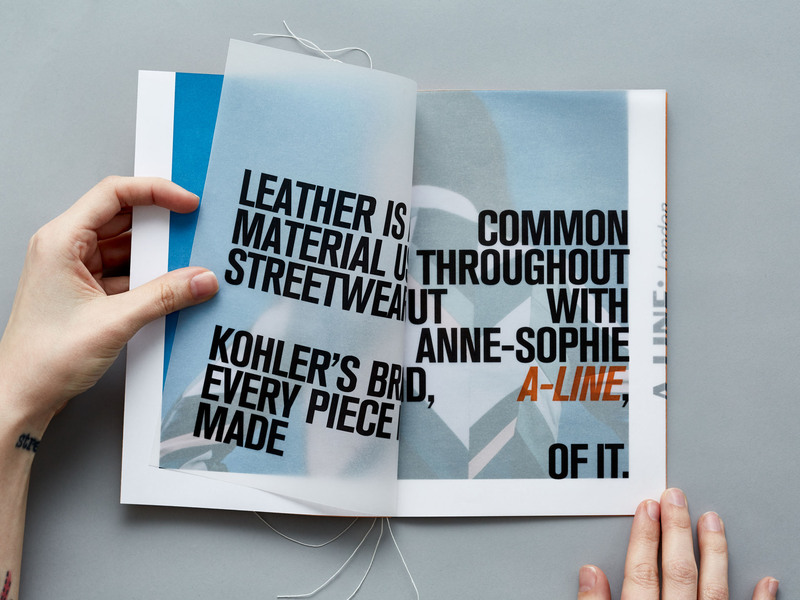 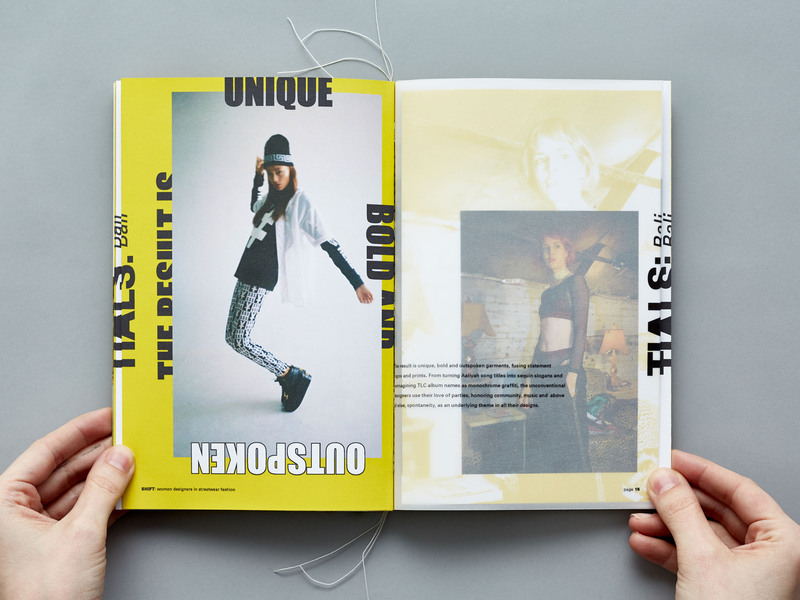 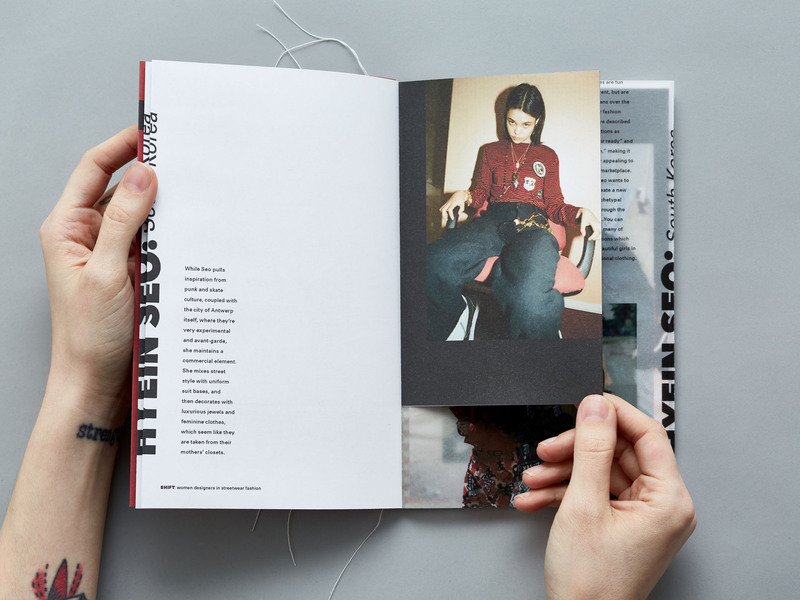 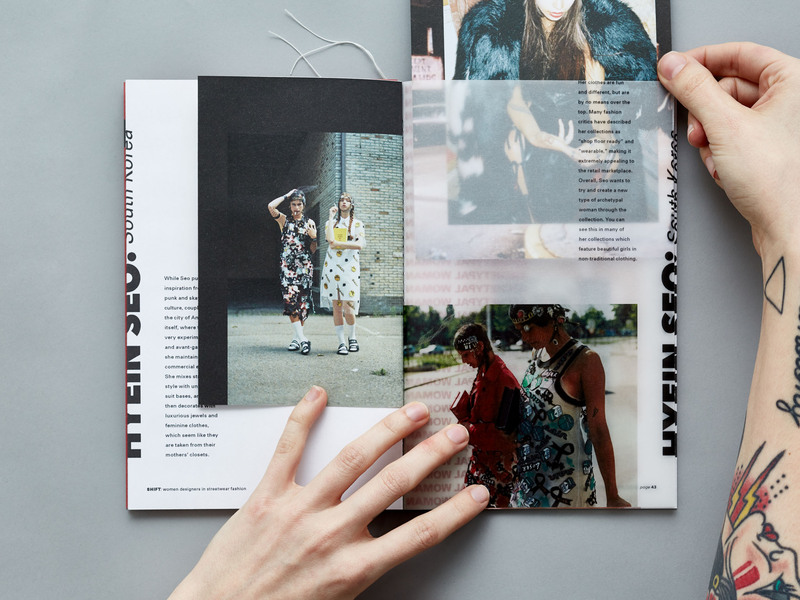 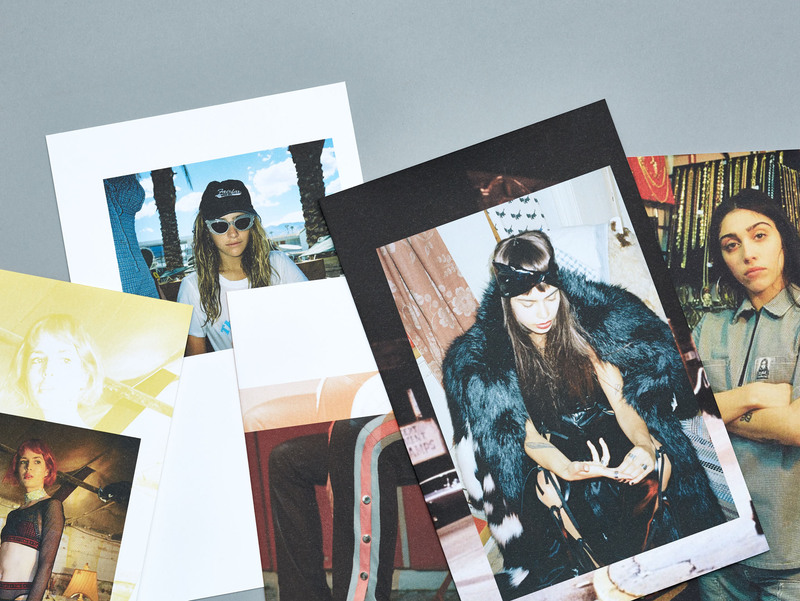 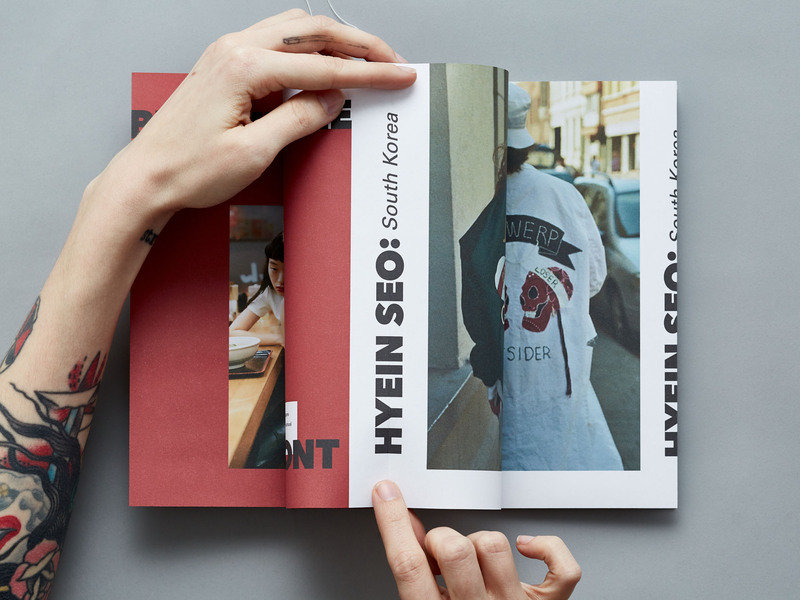 The zine format, interactive components, and utilization of overlays allows the reader to continually affect the look of the catalogue, bolstering the DIY aesthetic that inspired the conception of streetwear in the 1980s. 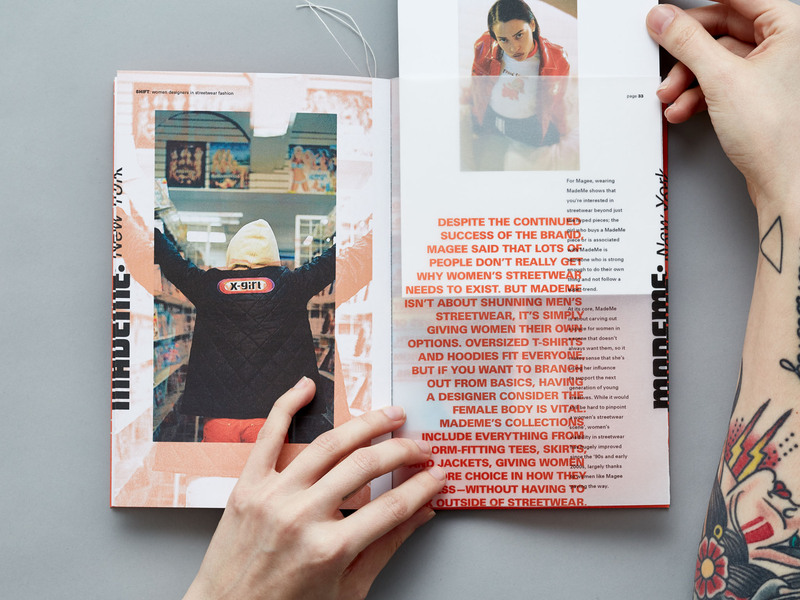 The printed zine was translated into an interactive kiosk for the event, which continues to allow the reader to view more imagery and access additional information, while painting the DIY touch that was established in the print version.